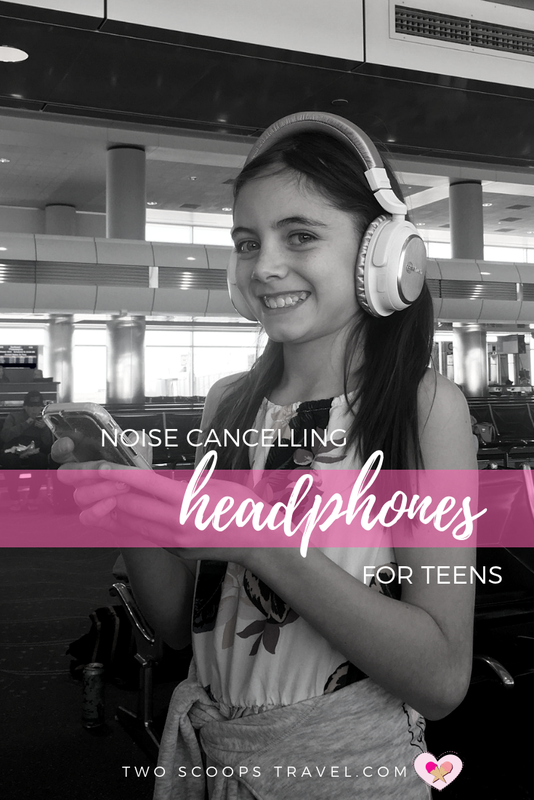 In preparation for our European adventure, we scoured the internet for noise cancelling headphones for the family. Since the plan is to hit the ground running in Paris, we needed everyone to get at least a few hours of sleep on the overnight flight. After reading some very positive reviews on Amazon, we purchased these Naztech i9BT Active Noise Cancelling Wireless Headphones. Testing actually started at home as soon as the Amazon packages were delivered. Kids popped on the headphones and started cleaning the house. I don’t think that was a result of the headphones, but hey, who am I to question? Initially, the headphones had a small battery charge which allowed for a quick startup. Thanks to the Bluetooth 4.1 technology, they paired easily with the kids’ iPhones. In fact, these headphones earn kudos for the ease of pairing with all BT enabled devices. The headphones live in a rigid soft-side carrying case which houses the folded headphones and all necessary accessories. There is a mesh cord pouch which attaches inside the case with a tiny piece of Velcro. We found that the extra room in the pouch was a great place to stash earbuds and audio jack adapters. The case is not too big and easily slid into the kids’ travel backpacks. The memory foam, over-the-ear headphones were a good fit on both kids proving useful for tween and teens alike. For smaller noggins - there is a slight gap between the top of the head and the headband, but it still fit Sydney’s ears well and she didn’t complain about them not fitting. I even tried them for a bit and found they were quite comfortable for adults as well. I do think they would be too big for smaller children. For noise cancelling, both models performed well. Testing on the plane resulted in a significant reduction of the engine noise while still being able to hear mom. Of interest, the ANC works even without pairing to a device. Battery length is listed as 15 hours of wireless play, 12 hours of wireless play while also using the Active Noise Cancelling(ANC), or 30 hours of ANC while wired via the auxiliary input. When paired with iOS devices, a small icon appears showing the battery level. For newer generation iPhone users(those devices with no headphone jack), you will need an Apple lightening to headphone jack adapter like this one in order to use the headphones with the cord. Overall, we felt the Naztech i9BT Wireless Noise Cancelling headphones were a solid pick for our crew. Of course, they pale in comparison to industry leaders such as Bose and Sony. If you can afford the best for your whole family, then of course, buy Bose. Since I’m not independently wealthy and my teens are still in the ‘I-don’t-know-how-the-dog-ate-my-headphones’ phase, I decided a more affordable alternative was needed. The Naztech are comfortable with a long battery life and active noise cancelling - these were a valuable addition to our travel kit. UPDATE: The Naztech Headphones survived a 3 week trip to Europe and performed perfectly!! I have to take a moment to praise Naztech for their fantastic customer service. A few weeks before our European vacation, one of the headphones stopped charging. Since it was still under warranty, we contacted Naztech’s customer service, explained the problem, and they promptly shipped a replacement set. Unfortunately, the new set that arrived was pink - not gray. Problem #1 - these headphones were for the boy child. Problem #2 - we were scheduled to leave in 3 days. After trying unsuccessfully to convince my son that no one in Europe would notice him wearing pink headphones, I emailed customer service and pled our case. To my surprise, Naztech overnighted a set of gray headphones to our home - free of charge! That kind of attention and customer service is rare today and I applaud Naztech for taking such an interest in their customers. Ready to plan your next family vacation?